Arcane Software: TouchCursor – For us keyboard geeks! I hate to sound like an advertisement, but I recently found some software that absolutely rocks and I just have to share. I have to confess that I’m a “keyboard freak”. I hate having to take my hands off the keyboard, so much so that I bought a Lenovo keyboard with the touchpoint mouse cursor to use on my desktop, just like what you’d find on an IBM Thinkpad. Now I’ve found some software that even further reduces the number of times I have to move my hands away from the home position to reach for those awkward keys, such as the cursor keys. It’s called TouchCursor, available at http://touchcursor.com. This is wonderful stuff, no longer do I have to move my hands off the “home” position to move the cursor around. And even better, the software is completely configurable. I can change the key combos to anything I want, and even add new ones. It also works perfectly with existing key combos like ctrl, shift, and alt. 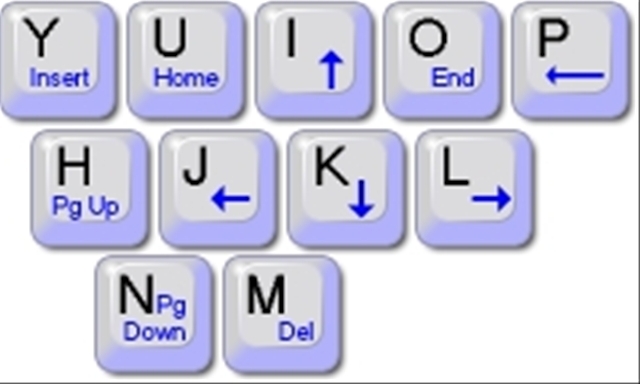 For example, SHIFT + SPACEBAR + L is the same as SHIFT + RIGHT ARROW. Now, you may think “well what if I have that odd program it doesn’t work right with?” No problem, the software allows you to turn off the functionality for specific applications. For example, I found it behaving a bit oddly with Virtual PC sessions (probably had something to do with both the guest and host OS wanting to look at the keyboard), so I disabled it for Virtual PC and just run it inside the VPC guest. Or you can take the reverse tactic, and only enable it for certain apps. It really looks like they have thought of everything, all the little tweaks you might want to do with the software are available for you to do. I’ve been testing this with both Vista and XP and it works great on both platforms. TouchCursor is shareware, you can download a copy and try it out for 30 days with no nag screens or any other crippling feature. The cost is only 20 US Dollars though, well worth the investment (I just sent in my 20!). For your money you get tech support, lifetime upgrades and permission to run on all of your computers. Not to mention the good feeling of helping out a worthwhile product. All that for 20 bucks? Count me in. This is a really creative solution for increasing productivity at the keyboard. Rarely do I fall in love with a piece of code, but this product has made my very short list of “must have won’t operate a computer without it” software. I highly recommend trying it out, and using it for the full 30 days. It does take a little getting used to, but once you get the hang of it you won’t want to operate a keyboard without it! Standard disclaimer: I have no financial affiliation with Rare Pebble Software, the folks who make Touch Cursor, other than being a customer. I receive no consideration of any kind for this mention. I just think it’s some awesome software and wanted to share. PS Sorry for no post yesterday, it was a business travel day and I got home much later than I anticipated. Previous PostArcane Thoughts: Thinking Inside the BoxNext PostIE Developer Toolbar Released!